Kennedy cousin Michael Skakel appeared in Stamford Superior Court on Wednesday to face the state's appeal of a ruling nearly a year ago that allowed his release from prison, pending a new trial in the case of the 1975 murder of Greenwich neighbor Martha Moxley. Skakel said he's been spending as much time with his family as he can. Asked if he was enjoying his time out of prison, he said, "I wouldn't say enjoying." 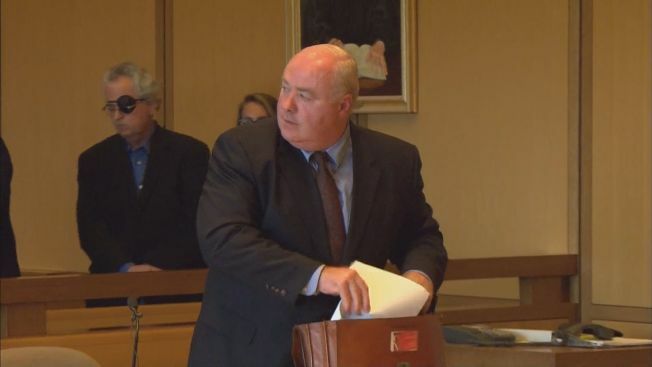 Last October, after serving more than 11 years in jail for his 2002 conviction in Moxley's murder, a judge ruled that Skakel's former trial attorney failed to adequately represent him in 2002 and granted him a new trial. After posting bail, he walked free from prison last November. The state is hoping a judge will reverse that decision. If the judge doesn't rule in their favor, Skakel will be granted a new trial. His attorneys are fighting to keep him a free man. The Greenwich Time reported that Skakel's defense is also filing motions to bar audio tapes Skakel made for a memoir from being used in future court proceedings. The audio tapes were meant as a resource for ghost writer Richard Hoffman to pen Skakel's book, "Dead Man Talking: A Kennedy Cousin Comes Clean," the newspaper reported. Skakel's attorneys told NBC's Today Show they plan to argue that the tapes, used as evidence in the previous trial, should be inadmissible this time, claiming police illegally seized the tapes from Skakel's ghostwriter and that the audio files have been selectively edited out of context. Gary Galanis, a family friend of Skakel's, told NBC News that "the implication is that Michael was there confessing to to the crime on this tape. That's not the case at all." The tapes do contain an admission by Skakel to engaging in sexual activity in a tree outside of Moxley's home the night she was murdered. Skakel was 15 years old at the time of the murder. Skakel's criminal defense attorney, Stephan Seeger told NBC's Ron Mott that he's ready to prove his client is innocent. "And that's something that the public needs to know. And I think that if the public learns more about the evidence we have especially more approximate evidence that people will start to change their mind about what happened in this case," he said. During a 10-minute court proceeding Wednesday, the judge ordered the prosecution and defense to compile a list of Skakel's belongings to be returned and ordered all evidence preserved. Skakel declined to comment on his way out of court. "With regard to the hearing, we don't see how a judge could possibly hear the argument when no one knows what the status of the case will be. The state's appeal is just going in at the end of the week. It's our hope that the judge's decision will be overturned and the conviction will be reinstated and that Michael Skakel will go back to jail where he belongs."